School is almost out for the summer, and students are looking forward to the pool parties, travel and beach days ahead. Use these easy and effective tips to help prevent illness this summer to ensure children have a safe and fun vacation. Beat the Heat: The summer brings in longer days and beautiful sunshine that encourages us to enjoy the outdoors. However, it’s important to keep children protected against the sun’s ultraviolet rays and intense heat. 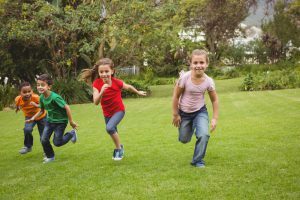 The Centers for Disease Control and Prevention suggests that even young and healthy people can get sick from the heat while participating in summertime physical activity. To avoid heat-related illness, make sure children are using sunscreen and wearing loose and light-colored clothing when outside. 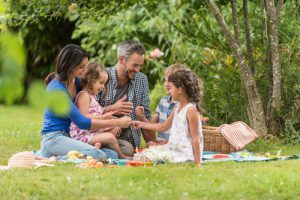 Prepare for Picnics: The warm summer weather encourages perfect moments for family picnics. Preparing ourselves for a healthy picnic doesn’t stop at sunscreen or wearing the right clothing, but with the right products that help us leave no harsh chemical residue behind on surfaces we eat. Grab the new Lysol Daily Cleanser – made with only three ingredients & has no harsh chemical residue which makes it safe to use on food contact surfaces. Healthy habits aren’t just for the school year—use them in the summertime to help stay well! For more information and tips to help keep your family healthy, please visit Lysol.com. Rory Tait is the Marketing Director at Lysol. He drives the Lysol Healthy Habits campaign, a program focused on educating parents & teachers across the country on the importance of healthy habits and good hygiene practices. Cold & flu season is most common during the chilly winter months with peaks of activity between December and February. The 2017-2018 flu season, which is expected to last through May, has been particularly strong, with elevated activity occurring in most of the country simultaneously. In fact, the Centers for Disease Control and Prevention reports that 45 states are currently experiencing widespread flu activity. 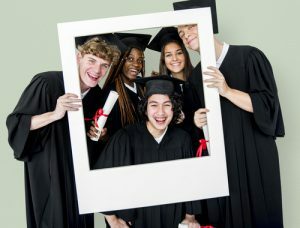 With graduation season approaching and school communities gearing up to celebrate student achievements, it’s critical to use healthy habits to avoid illness. Don’t pull an all-nighter: Students will often cut back on sleep to work and study, but it’s important to get an adequate amount of sleep each night for good health. According to the Center for Disease Control and Prevention, children ages six to 12 should get nine to 12 hours of sleep per 24 hours, while teenagers should get around eight to ten hours. Clean the classroom: The flu virus can live on hard surfaces for up to 48 hours. Remember to use Lysol Disinfectant Spray and Lysol Disinfecting Wipes, which kill 99.9% of viruses and bacteria on frequently touched areas such as desks, keyboards and doorknobs. As a bonus, Lysol is the exclusive household cleaning and disinfecting product in partnership with Box Tops for Education. By purchasing Lysol products, you can earn valuable points which can be converted into cash for your school. Study up on healthy habits: Make sure to practice healthy habits that help prevent the spread of germs. Teach your children to use proper cough and sneeze etiquette, to throw away tissues after use and to frequently wash their hands. The holiday shopping season now begins online on Thanksgiving (Brown Thursday), continuing through Black Friday and Cyber Monday. Some retailers have even taken it a step further: Mall of America and several other retailers have announced that they will be closed on Thanksgiving—making it a “cyber-only” day for many shoppers. 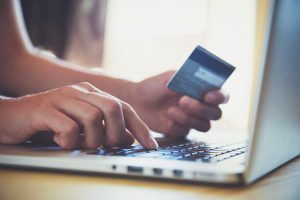 This new emphasis on “cyber shopping” means that both parents and kids need to be on the lookout for shopping dangers and keep protecting their identity top of mind. Here are five suggestions that can go a long way towards reducing your vulnerability to identity theft and fraud this holiday season and year round. Keep a low profile. Avoid sharing personal information to receive promotions and offers. If you need to put in an email address to get a coupon or shop one time on a site, consider using a temporary one. Sites like 10MinuteMail.com can help. Don’t save your credit card info on retailer websites, just in case the retailer suffers a data breach. Limit your social media sharing and never post personal information such as addresses, emails, phone numbers or birthdates. Pay with a credit card … or online/mobile payment. Always use a credit card, not a debit card. You’re not held responsible for unauthorized credit card purchases (beyond, in some cases, a $50 fee), but a thief armed with your stolen debit card could wipe out your entire bank balance—at least until an investigation is completed. Even better, use an online or mobile payment service such as Apple Pay, Android Pay or PayPal. Take protective measures online. Public Wi-Fi can expose everything you’re doing online. One of the best ways to protect your information online is to use a Virtual Private Network (VPN) from a trusted vendor. VPNs provide a “secure tunnel” that encrypts data being sent and received between your device and the internet. Many companies use secure websites—HTTPS (Hypertext Transfer Protocol Secure)—to provide online security. You can tell if a website is secure if it has “https” in its URL and has a small lock symbol next to it. However, even though the website itself might be safe, your personal information could still be vulnerable if your network connection isn’t secure. Watch your accounts closely. Be sure to regularly check your bank and credit card accounts for any unfamiliar charges or activity, and regularly update passwords with unique ones for each site. Online card fraud has risen sharply and this could mean you’re at risk. You can set up text and email alerts to keep track of your bank and credit transactions. Do a weekend recap at the end of a long shopping weekend, and review and shred your receipts when you don’t need them anymore. Have the Smart Talk. The majority of children receive their first smart phone between the ages of eight and 12. That means managing kids and their devices has become more of a juggling act than ever for parents. LifeLock and National PTA launched The Smart Talk, a free, online tool for families that helps parents have clear conversations with their children about using technology in order to agree on ground rules together. We want our children to learn and have fun through technology, and at the same time, stay safe. The Smart Talk provides an interactive experience that guides kids and parents through a series of questions and conversations about topics such as safety, privacy, screen time, social media, texting and cameras. After agreeing on healthy limits together, a personalized, official family agreement can be stored on the computer or printed and posted at home. Visit TheSmartTalk.org for more information. Paige Hanson is the Chief of Identity Education at Lifelock. The internet can be a wonderful tool to learn and explore new concepts, as well as a way to connect with people and cultures far away. However, we also know that the internet can be a serious source of distraction and danger, especially for its youngest users. These risks are why setting boundaries and encouraging balance for online use is so important. Parents often feel overwhelmed by the drama that seems to accompany the technology in kids’ back pockets. And they’re certainly not blowing the issue out of proportion. 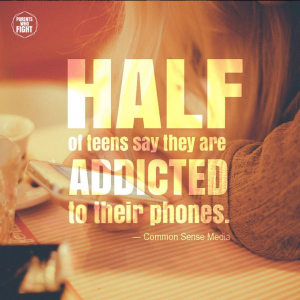 A 2016 Common Sense Media study found that a whopping 50% of teens feel addicted to their phones, and one-third of families reported fighting about negative effects of phone use daily. Most parents I’ve talked to want to do a better job setting boundaries and talking to their kids about online safety, but they sometimes don’t know where to start. One tool we recommend is an online resource called The Smart Talk. It’s an interactive tool that families can use to set boundaries in “stone” and talk about what responsible tech use in their home should look like. We’ve found it to be a great template to cover several online safety topics as a family, and it really assists you in unearthing your own values regarding technology as you work through it. It doesn’t just help you create a contract, it helps create conversation. Online drama affects schools and homes alike. That’s why it’s so important to find ways we can work together to build healthy structures and expectations for kids’ online activity. 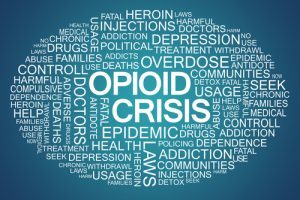 Sometimes we only respond when a negative situation blows up, but if we can make the switch to become proactive in our school communities, we will be better able to prepare kids to make good choices online. One proactive strategy is to plan a PTA event for National Safer Internet Day, Tuesday, Feb. 6. This is a great way to foster community and discuss strategies to keep kids safe online! We’ve often heard the distance between Kindergarten and Senior year is one blink—it goes by quickly. With technology evolving every day, and our kids growing up in the blink of an eye, it’s time for us to seize the day in developing strategies for internet safety, both at home and in our schools. Let’s work together to proactively teach our kids that boundaries and balance online are crucial to their successful futures. Sarah Siegand is an author and co-founder of Parents Who Fight, an online safety campaign to give parents tools and encouragement to protect their kids online. She is a member of her local PTA in Nashville, TN. When we drop our children off at school, we put great trust in the teachers and staff. Aside from home, kids spend the majority of their time at school, making it one of the most influential places in their most formative years. As parents, we look to schools to support our children in reaching their full academic potential. At Shore Acres Elementary—my sons’ school where I serve as PTA president—that pursuit starts with being a healthy school. We’re not your average healthy school. We’re one of America’s Healthiest Schools, a distinction earned through our work with the Alliance for a Healthier Generation’s Healthy Schools Program. We’ve transformed Shore Acres into a school where students eat healthier and move more, and staff are healthy role models. Two years ago, we chose two PTA parents to serve on our school’s health and wellness committee. They worked alongside teachers and administrators to set new health and wellness goals for our school. While there were many things we wanted to improve, we knew we had to start small. Using Healthier Generation’s Assessment tool as a guide, our PTA made small changes to support Shore Acres’ wellness transformation, like trading our annual chocolate fundraiser for a “fun run.” The event has become so successful that, last year, we used funds raised to provide recess activity bags, a school garden and even a new playground! It takes a village to raise a child…and also to become one of America’s Healthiest Schools. Creating a strong network of wellness champions is essential to achieving your goals. Our PTA serves as a strong ally to Shore Acres, from connecting the school with a parent that leads school mindfulness programs to identifying local sponsors to fund health initiatives. Our greatest victory, however, came when we tried to add recess back to the school day. Unfortunately many schools in Florida were no longer providing recess because of an increased focus on testing. But we were well aware of the research around health and academic performance—when kids are physically active, test scores go up; it’s that simple. Determined to make our voices heard, we worked with the Florida PTA and school PTAs from around the state to advocate for a bill requiring 20 minutes of daily recess for public elementary school students. Through our strong cadre of PTA champions and many trips to Tallahassee, the bill was passed in 2017, restoring this critical play time for thousands of students across the Sunshine State! Persistence paid off in our quest to bring recess back into the school day and so, too, did it in our mission to improve foods served and sold at school. We used Healthier Generation’s Smart Food Planner to ensure food served met the U.S. Department of Agriculture’s Smart Snacks in School guidelines. We eliminated food-based fundraisers, instead favoring more creative ways to secure necessary funds. We worked to ensure staff felt supported and empowered to be healthy role models. Staff members participate in our run club, hold pedometer step contests and encourage students to stay active through class brain breaks. The results of our concerted efforts have been nothing short of amazing. Teachers are healthier, student behavior has improved and parent involvement has increased. According to a recent district health screening, the number of obese and overweight students has decreased. When it comes to school health, parents are a powerful force that can create healthier schools through actions big and small. 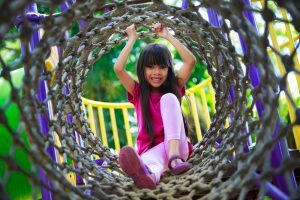 From advocating for recess at the state level to creating healthier school events on the PTA calendar, we can have a major impact. 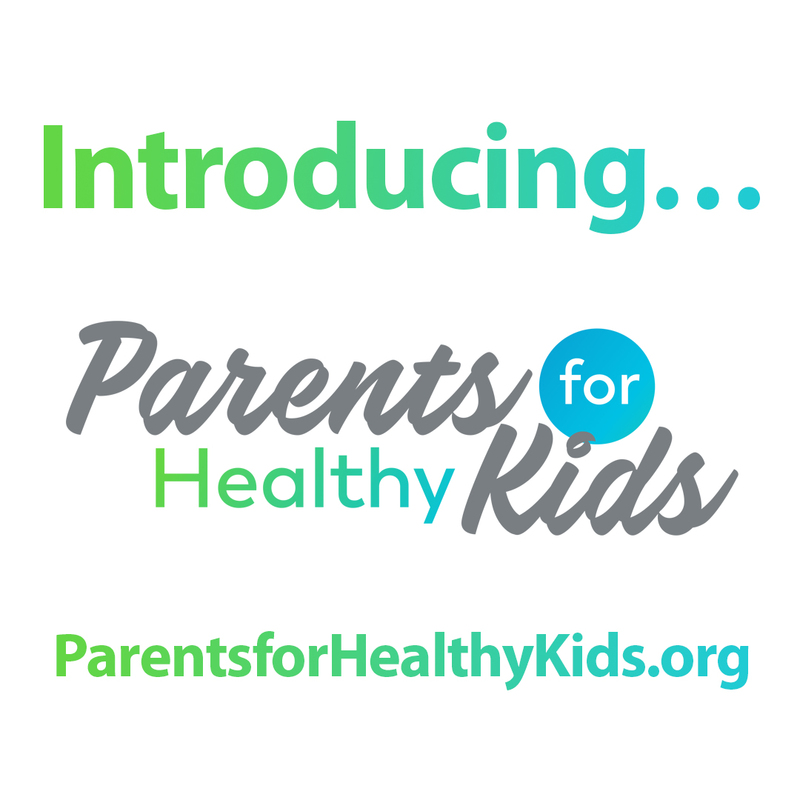 Ready to help your child’s school become one of America’s Healthiest Schools? Enroll the school in the Healthy Schools Program – or join its existing wellness team – to access free guidance, tools and trainings today! 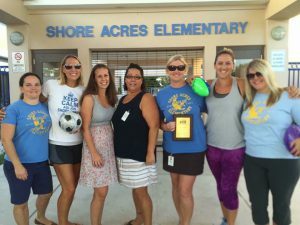 Stephanie Cox is the PTA president at Shore Acres Elementary School in Pinellas County, FL, which was recently named to the 2017 list of America’s Healthiest Schools by the Alliance for a Healthier Generation. With school bells ringing and teachers diving into their lesson plans, help your children focus on what matters most during the school year – learning! As part of the Healthy Habits Program, Lysol alongside the National Parent Teacher Association hope to spread the word on healthy habits, starting with simple yet effective tips to help keep germs at bay and help prevent your children from getting sick, whether in the classroom or at home! Kick-Off The Year and The Germs: Start the 2017 school year by stocking classrooms with disinfectant cleaning product. Using Lysol products, such as Lysol Disinfecting Wipes and Lysol Disinfectant Spray, kill bacteria and viruses on hard surfaces in your home and classroom. If you’re one of many parents who collect Box Tops for your children’s school, you’re in luck! Now all Lysol products are eligible for Box Tops for Education redemption, so you can continue to help earn cash for your school. 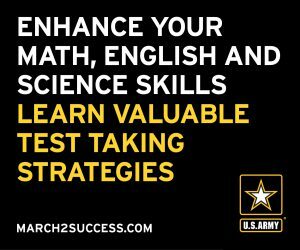 Get A Good Night Sleep: With homework, soccer practice and science projects filling up your children’s schedule, it’s important that they get an adequate amount of sleep each night. A good rule of thumb is 9 to 12 hours for children ages 6-12, according to the Centers for Disease Control and Prevention. Reinforce Healthy Habits: The third week of September marks Healthy Habits Week. Use this time as your reminder to start the school year off on a healthy note by teaching your children to use proper etiquette for sneezing and coughing to help keep sick days to a minimum! Make sure they’re frequently handwashing at home and at school too –use warm water and soap to create a nice lather – scrubbing for at least 20 seconds! 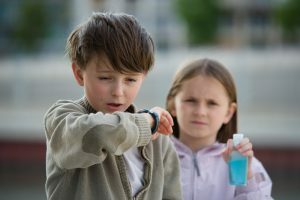 Visit Lysol.com for more information and tips to help keep your family healthy and always check with your school before bringing products to the classroom.